ENJOY A SCENIC VIEW OF HELL WITH ACHERON! ACHERON is a river that flows through Tartarus, the Greek underworld, conveying the souls of the dead and the damned to their final destination. It's also the name of one of America's longest lasting and most diabolical underground metal bands. In this week's edition of Wormwood, I take a luxury yacht up the Acheron to meet with VINCENT CROWLEY, the infernal brain behind the band. 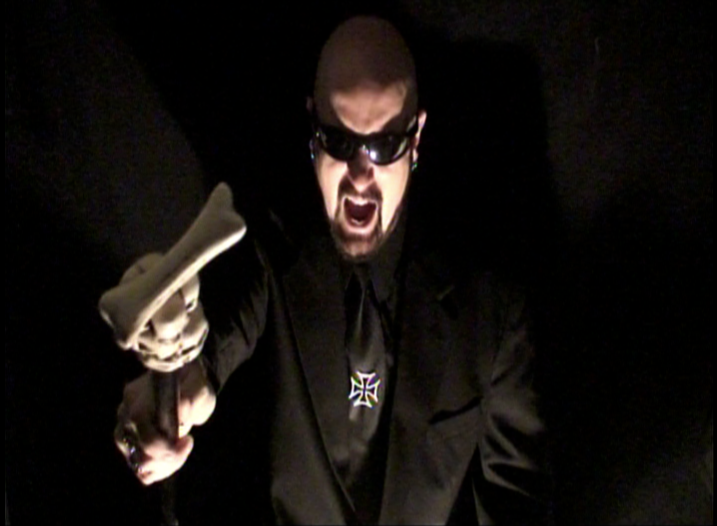 Mr. Crowley is an erudite and articulate man who makes no bones about his rather...ahem...inverted faith. This interview cuts to the core of Acheron's philosophy and music, expressed most forcefully on the new album "Kult des Hasses". I had a hell of a time speaking to Vincent so take a look at what makes this infernal bunch tick right HERE! A super-sized version of the Torture Chamber awaits your inspection this week. I defy anyone to find a more eclectic collection of underground music than this! GAMMA RAY "Empire of the Undead"
SARGEIST "Feeding The Crawling Shadows"